This wanton noodle, a favourite dish of Singaporeans, 大姐 Famous Wanton Noodle, hidden away in the tiny corner of Little India/Jalan Besar area, an area of historical significance with its old shophouses. I was brought to this wonderful place by my old friend Han Wei, whose office is nearby there. Take a look at their Wanton Noodle, it’s not your “normal” Wanton Noodle. 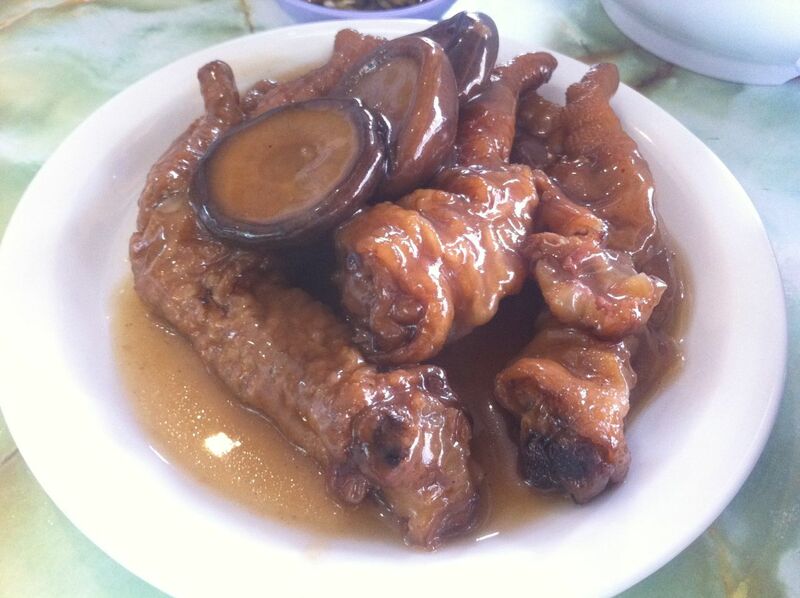 This wonderful dish comprises of Chicken Feet, Char Siew, Mushrooms and Fried Wanton ! What a great combination ! Their Wanton Noodle tastes delicious and their skill is superb with the noodles cooked really very yummy and just nice perfectly !! Well, that’s not all, when you are there trying out the Wanton Noodle, you must eat more Chicken Feet with mushrooms covered with thick gravy, deep fragrance and wonderful taste, well cooked and simply delicious !! That’s not all, the Wanton soup, it’s a Must Try !! 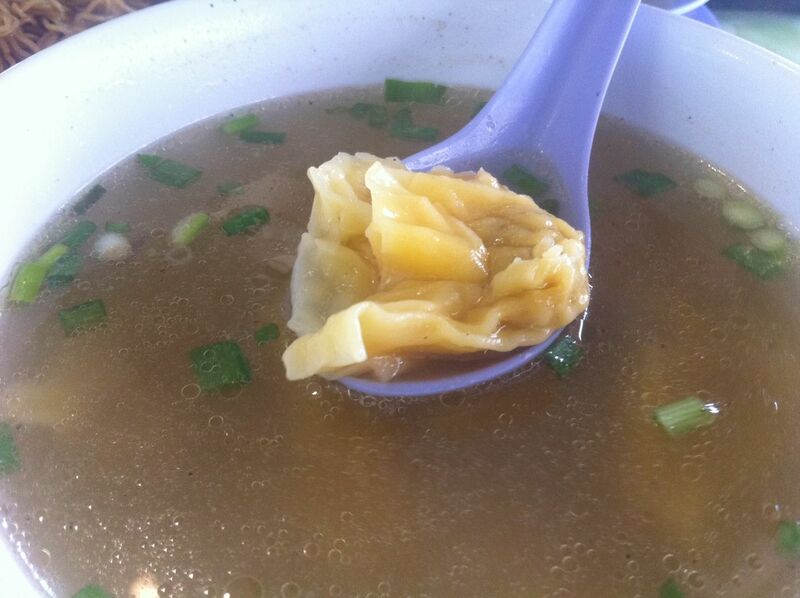 Wantons taste superb and the soup base is really well cooked, sweet and filled with stock fragrance …. What’s the fragrance, I leave it for you to go there and try it out ! 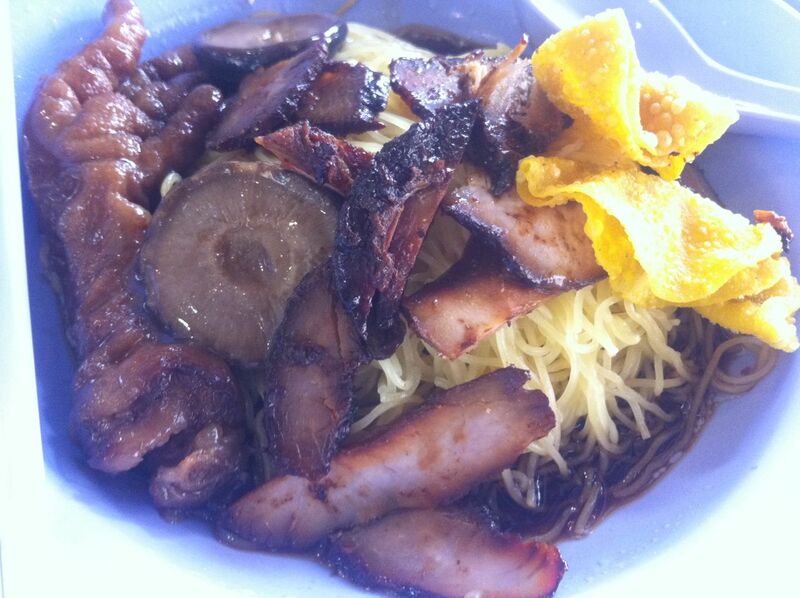 Do check out famous Singapore Food Blogger ieatishootipost wrtie up on this Famous Wanton Noodle too ! 大姐 Famous Wanton Noodle is located at 209 Jalan Besar (at corner of Sam Leong Road and Jalan Besar) , open only from 0700 hrs to 1400 hrs from Monday to Saturday. Ladies and Gentlemen, go for it ! Must Try Food !